When researching all things VBAC (my personal hobby since June 2010) I ran into the idea of belly dancing during pregnancy. 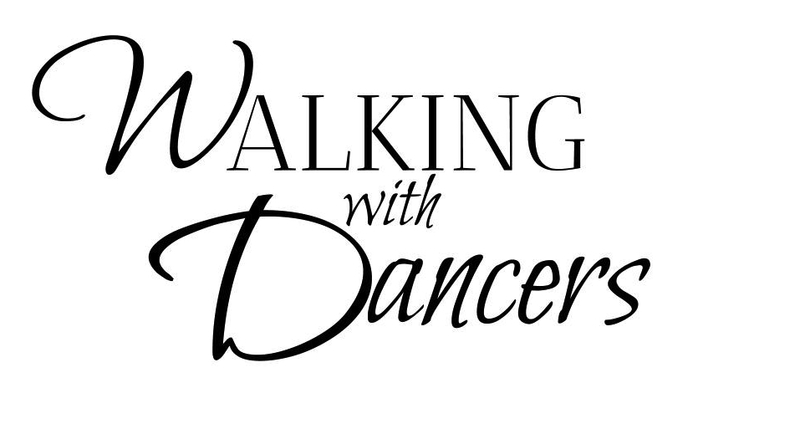 Some sources say that the dances would be taught to girls after they hit puberty to prepare them for childbirth. Then when the time came to have a baby, fellow tribeswomen would gather around the woman in childbirth and perform the dance. The purpose here is to hypnotize the woman in labor into an imitation of the movements with her own body. It greatly facilitates the birth and reduces pain from womb contractions, it helps the mother to move with instead of against the contractions. Different cultures have had their own very similar takes on this idea of dancing the baby into the world. Childbirth is something that must be prepared for. Dormant muscles must be built up little by little, step by step. All it takes is a little work. Strengthening the muscles also helps in carrying the child through pregnancy. Belly Dancing was intended for all of these things. 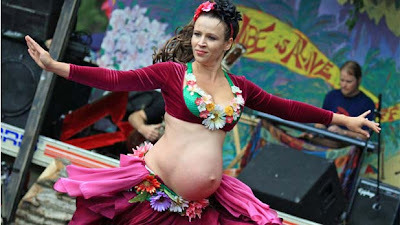 In a way, belly dancing is the oldest form of natural childbirth instruction! The muscles of the abdominal wall (rectus abdominus, obliques): These muscles are used in performing chest circles, undulations, belly flutters and rolls, and are the same muscles that come into play when the woman is pushing during delivery. The gluteal muscles (the bottom): These are used when doing hip lifts, drops, and locks. The quadriceps (the thighs): these are used to support the body during dance, and with traveling movements. Pelvic floor muscles: These are indirectly exercised when doing pelvic rolls and tucks. These muscles are directly involved in the birthing process. Rectus abdominus muscles (long front belly muscles) used in combination with the pyramidalis (just above the pubic bone). Obliques/transversalis (muscles that wrap around from the back to the waist in front) are also strengthened. Vaginal muscles: strengthened when performing pelvic omi circles slowly, with tightening of the vaginal muscles. This exercise can help with pushing during labor, and strengthens the support for the base of the bladder and the uterus. So, when I learned all this a while ago, I saved up some SwagBucks to get myself some Amazon Gift cards and buy myself a Prenatal Belly Dance DVD. The DVD was really pricey, and if I hadn't used those gift cards I would have felt crazy to spend $50 on it! So I thought, "You know, if I wanted to show women how to do this, I bet I could compile some free videos off the internet for them." And guess what? It's true. I could! I was able to find a nice eHow video series showing exactly how to do the same moves I've been learning from my video. Of course this woman isn't pregnant. But I promise, she does the same moves that were on my prenatal video. Give these clips some views and start practicing! And who knows, maybe it will be life changing! (There are more videos in the eHow series, but these ones in particular are what I've seen done on my DVD. The other moves seem equally as doable in pregnancy. Although I did read somewhere that during the first trimester, shimming isn't recommend for the baby's safety. * Click here for more of my healthy pregnancy tips. have you come across bellydance for birth by maha al musa? She has written a superb book and DVD, it's really worth posting here. Movement is such a vital part of our lives and heightens within the birth process. These motions re as natural to the birthing mother as her health is. Fiona Willis shares her wisdom of this sacred dance of fertility, conception, labor and life. Hi Lydia,I found your blog by accident and I'm SOOOOO GLAD I did!!!! While all of the pics are GREAT,I have to admit that the third one from the top is my favorite.I wasn't sure if that was you or not,but whoever she is she has the most BEAUTIFULLY shaped pregnant belly I've ever seen!!! On top of that she has an outie bellybutton that to me is just like ICING on the cake! I just had to throw that in there because so many people find pregnancy bellybuttons quite unappealing,but I find that they make pregnant bellies all the more FASCINATING and INTRIGUING!!!!!!!!!!!!!!!!!!!!! Thanks for writing this! I am so interested in learning about belly dancing and birth. Do you have sources for your research? I am having a hard time finding quality literature on this topic! Did you know you can create short urls with AdFly and make money for every click on your shortened urls. it have phenomenal article to know about History and Benefits of Belly Dance in Pregnancy & Birth with most exciting and informative post. Nice blog about pregnancy. know more information about surrogacy agency in russia.